Our professional development pilot program was featured this month as part of William Beutler’s “Top Ten Wikipedia Stories of 2018“. Our model of professional development courses offers a potential solution to engaging more academics and subject-matter experts in Wikipedia editing; it seems like the Wikipedia community is as eager as we are to see where the venture goes. Another iteration of our Women in Science course finished early this month after a condensed nine-week session. In those two months, 11 participants created 35 new articles, edited 80, and added more than 43,000 words to Wikipedia. This course was remarkable for several reasons. The participants were driven and produced a large amount of content. Creating this many new articles is a notable feat, and doing this all on a condensed timeline speaks to the intensity and excitement the participants brought to this course. Our Wikipedia Student Program was featured on the Harvard School of Public Health’s blog this month. The article breaks down the success of a course there that we supported. Students improved Wikipedia articles related to occupational health, health hazards, and best practices. Students appreciated the assignment for its “real-world impact”. The Dashboard codebase reached a major milestone this month with its 10,000th commit on GitHub. The open-source project has averaged almost 7 changes per day over the last 4 years. That represents the work of more than 50 volunteer contributors, 2/3rds of which are newbies to whom Chief Technology Officer Sage Ross provides guidance. Thanks to this reciprocal work, the Dashboard continues to be improved for the thousands that rely on it worldwide. To read more about what it takes to run a newbie-friendly open software project, check out Sage’s reflections on our blog. 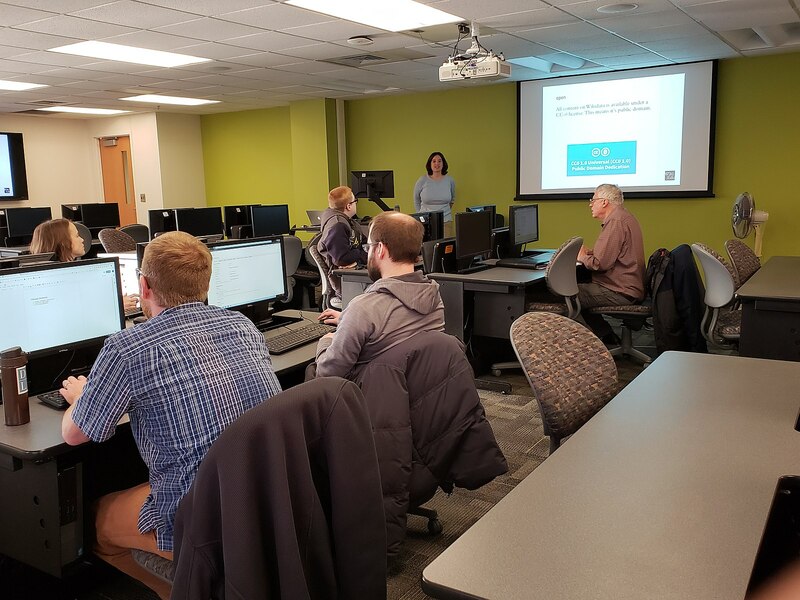 In December, Chief Programs Officer and Deputy Director LiAnna Davis visited Wayne State University in Detroit, Michigan, to delve into planning a collaboration with their School of Information Sciences around integrating Wikidata assignments into the curriculum. Wikidata is a Wikimedia project that is an open structured data repository; Wiki Education is eager to get started on improving the quality, quantity, and equity of information available on Wikidata. Read more in our blog post. As the Fall 2018 term winded down, the Spring 2019 term was just gearing up. December is always a month of transition for us here at Wiki Education, and this time was no exception. While Wikipedia Experts Ian Ramjohn, Shalor Toncray, and Elysia Webb were busily reviewing work from the fall term, Wikipedia Student Program Manager Helaine Blumenthal was looking ahead and setting up courses for the spring. Continuing our trend from Spring 2018, we had more courses taught by returning instructors this term than those taught by new instructors in the Wikipedia Student Program. This meant that we could rely on our returning participants to produce quality work, while devoting more time to our new members to navigate the sometimes daunting experience of running a Wikipedia assignment. 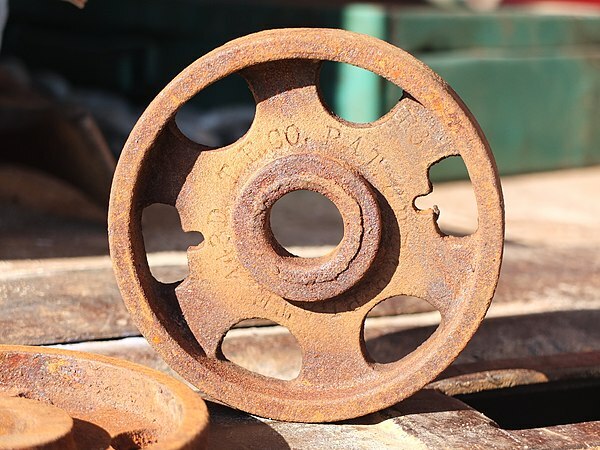 As the Spring 2019 term approaches, we’ll once again make quality our highest priority. We do this by refining the courses we support and the ways in which we support them. While we’ve been doing this for many years, there are always new things to learn with each passing term, and Fall 2018 was no exception. A student from Vanderbilt University’s Introduction to African Politics substantially expanded the article for Ahmadou Ahidjo, the first president of Cameroon. The student subsequently nominated the article to appear on the front page of Wikipedia under the “Did You Know?” section, which refreshes daily with interesting facts gathered from articles around the site. Ahmadou Ahidjo was featured on December 11. The South African proposed legislation The Prevention and Combating of Hate Crimes and Hate Speech Bill appeared in the Did You Know? section on December 5 thanks to a student from the same Vanderbilt course. The University of California, Berkeley class “Carbon Capture and Sequestration”, taught by Marjorie Went, finished up this month. Students explored technologies and geophysical cycles related to climate change mitigation. Through the students’ efforts, substantial content was added to Wikipedia, including brand-new articles such as ocean storage of carbon dioxide, microbial electrolysis carbon capture, and CCS and climate change mitigation. Now this content is freely available and accessible to those wishing to learn more about strategies for confronting climate change. Wikipedia is one of the most-viewed resources for medical information on the internet, with its contents consulted by 50-70% of physicians and over 90% of medical students. Therefore, it is critical that Wikipedia’s medical content is accurate, comprehensive, and up-to-date. Students in the University of Wisconsin’s Epidemiology class, taught by Mel Kantor, added information regarding health and medicine. Articles they improved include sports injury, rat-bite fever, and particulate pollution. Polyculture is the agricultural practice of growing more than species together in a system meant to more closely mimic nature. Before a student in Yin-Long Qiu’s Plants and Human Health class started working on it, Wikipedia had only a short article. The student editor transformed the article, adding information about a range of different types of polyculture systems, how these systems function, and the benefits of polyculture systems. Non-dairy milks have been in the news with questions about whether they should be labeled “milk”. While several of them have fairly good Wikipedia articles, oat milk was not among them until another student editor in Yin-Long Qiu’s class created one. Readers can now learn about the composition of oat milk, its origins in the early 1990s, and ongoing commercial expansion. Another timely expansion by a student editor in the class was the cannabis tea article. While cannabis remains illegal in much of the United States and elsewhere in the world, a trend toward legalization and decriminalization means that more people are likely to interact with the drug in some form. Having neutral, fact-based information on topics like this in Wikipedia is an extremely valuable complement to politically charged arguments in favor of and against the drug. There’s a tendency to judge the importance of people in science and technology on whether or not they have a Wikipedia biography. But the creation of Wikipedia articles depends on the interests of Wikipedians. Natural resources and ecosystem services play an outsized role in developing economies, and the study of these systems is crucial for effective conservation and management, but tropical ecology is an underrepresented field on Wikipedia. C. V. Savitri Gunatilleke is a pioneering woman in the fields of forest ecology and science education in Sri Lanka. Katherine Ewel made important contributions to the study of forested wetlands both the tropics and subtropics. Her husband, John Ewel, made major contributions to understanding the recovery of tropical forests after they were cleared. Rodolfo Dirzo has presented important insights into the implications of defaunation, the process of understanding what happens when forests are emptied of their wildlife. These are among the 11 biographies of tropical ecologists that were created by students in Emilio Bruna’s Tropical Ecology class. In 2018, Brazil elected its first transgender politician to a state congress. In December, a student from University of Wisconsin’s Women and Politics in a Global Context class created a biography for the trailblazing Erica Malunguinho da Silva. Though da Silva met Wikipedia’s notability requirements, systemic bias on the site can make it less likely that women and transgender people are covered to the same extent as their male counterparts. Now, readers can learn more about da Silva’s amazing accomplishments and the obstacles she has overcome. In 1928, author Compton Mackenzie released his twentieth novel, Extraordinary Women, which features an ensemble cast of primarily female characters, many of whom are lesbians. Approximately 90 years later, a University of Northern Iowa student in Catherine MacGillivray’s Images of Women in Literature course created its Wikipedia article. Mackenzie might not have foreseen that his book would continue to be read and studied so long after its initial publication. Extraordinary Women was published alongside Radclyffe Hall’s lesbian novel The Well of Loneliness, however unlike Hall’s novel Extraordinary Women was not subjected to similar review and censorship by the United Kingdom’s Home Office. Another student, this one in Wendy Belcher’s Princeton class on Radical African Thought and Revolutionary Youth Culture, chose to create an article on the student movements in Uganda. Student activism and politics was a significant part of Ugandan higher education in the 20th century and beginning in the 1930s, Ugandan universities and secondary schools were a center for revolutionary movement. This new page covers both the twentieth and twenty-first century student movements, starting with movements that focused on independence from the British Empire to a 2018 protest held in response to the Ugandan government instituting a tax on social media, SMS, and WhatsApp. These outlets have been increasingly used as an organizing and protest tool amongst young people in Uganda and Ugandan President Yoweri Museveni has fully shut down social networks during the 2011 and 2016 elections. During the month of December students added several images to Wikipedia. One University of Colorado Boulder student in Brian Keegan’s Online Collaboration class chose to upload an image of a tornado that formed along the edges of the 2018 Weston Pass Fire that burned a total of 13,023 acres. Another student in Oregon State University professor Stacey Smith’s class The Historian’s Craft found an image of John Jamison Moore, an American preacher and educator that worked to spread the word of his church and to educate children on both the East and West Coasts of the United States. One other student in Liz Whiteacre’s English Composition class at the University of Indianapolis chose to take a photograph of both himself and his friend making the hashtag hand gesture, marking the first time that a photograph of this gesture has been added to Wikimedia Commons. 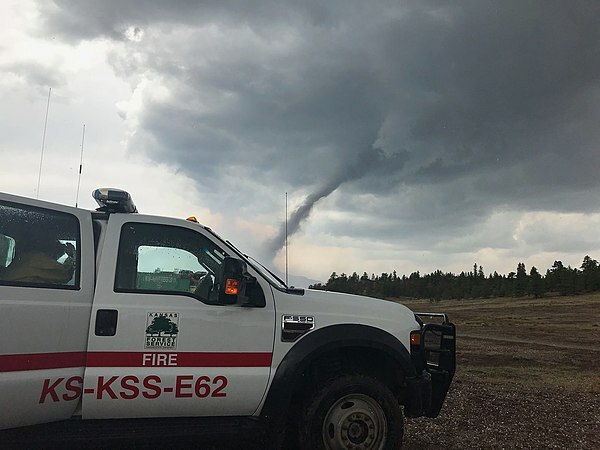 A Kansas Forest Service truck deployed to fight the Weston Pass Fire in Colorado, is forced to pause on July 5 as a tornado passes outside the town of Fairplay. Image: File:Weston Pass Fire Tornado.jpg, Kansas Forest Service, CC BY-SA 2.0, via Wikimedia Commons. 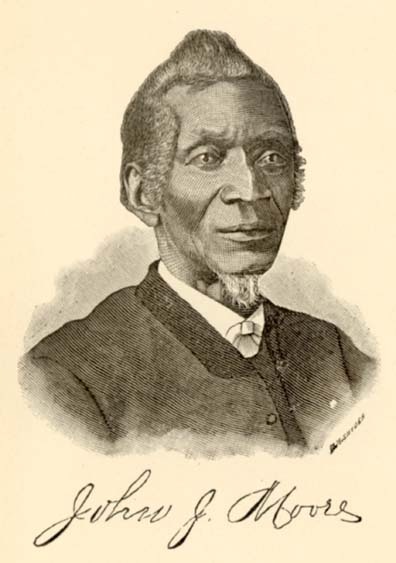 Image of Moore from his book, The History of The AME Zion Church in America. Image: File:John Jamison Moore.jpg, public domain, via Wikimedia Commons. 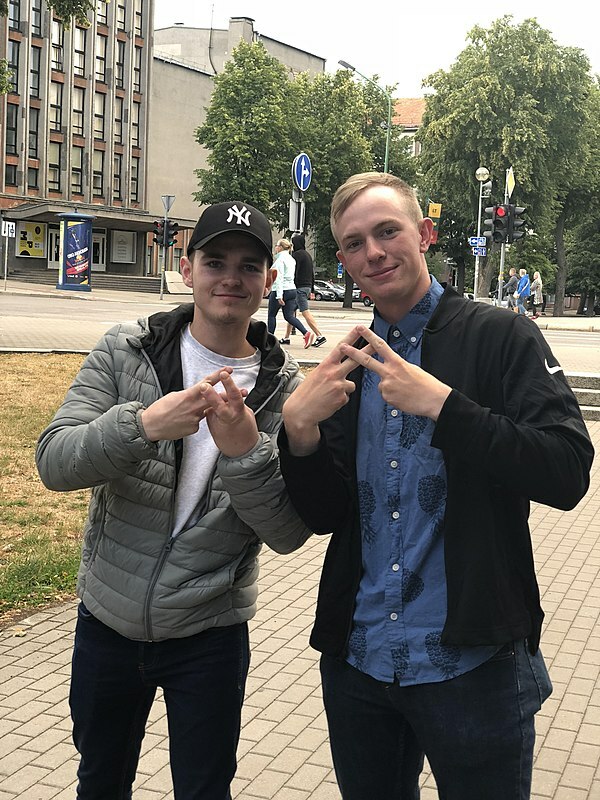 Two young men displaying the hashtag hand gesture. Image: File:Armandas.jpg, TheBrandonCaldwell, CC BY-SA 4.0, via Wikimedia Commons. University of Pennsylvania’s Historic Building Technology class and used in the Timber framing article. Image: File:Shear plate timber connector.jpg, Hab044, CC BY-SA 4.0, via Wikimedia Commons. 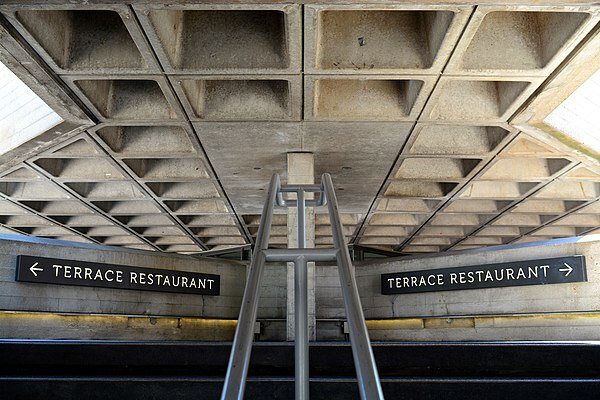 Image: File:Waffle Slab National Theatre Terrace Restaurant.jpg, George Rex, CC BY-SA 2.05, via Wikimedia Commons. Image: File:Prc.jpg, public domain, via Wikimedia Commons. 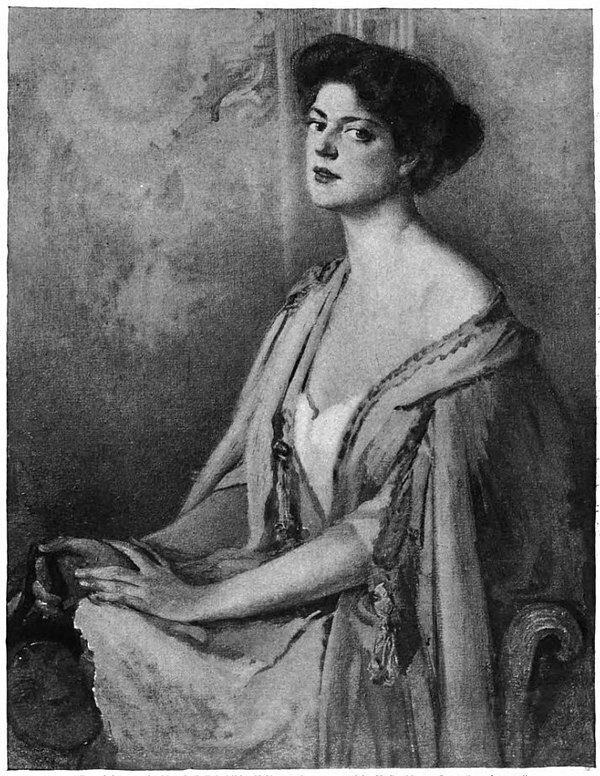 Image: File:Portrait of Ethel Barrymore by Frances C. Houston.jpg, public domain, via Wikimedia Commons. The academics and professionals participating in our Scholars & Scientists courses have been busy this month. One course, focused on biographies of women in science, wrapped up early in the month, while the other six courses finished just before the holiday break. Fewer than 18% of biographies on Wikipedia are about women. For that reason we ran our Women in Science course again, which finished early this month after a condensed nine-week session. In those two months, our 11 participants created 35 new articles, edited 80, and added more than 43,000 words to Wikipedia. This course yielded one Did You Know article — William Gould Young, which appeared on Wikipedia’s front page on January 8, 2019. This course was remarkable for several reasons. The participants were driven and produced a large amount of content. Creating this many new articles is a notable feat, and doing this all on a condensed timeline speaks to the intensity and excitement the participants brought to this course. Hanneke Jansen: a computational chemistry leader working on multiple drug targets for anti-cancer treatment and leading an effort to standardize data sets to improve industry collaboration. Wendy Young: a medicinal chemist and pharmaceutical executive, known for the development of a chemistry campaign against Bruton’s tyrosine kinase. Expansion of the Valles Caldera article, about the inactive volcanic caldera in New Mexico. The article on geologist and oceanographic cartographer Marie Tharp had information about her career and early life, but not much about her scientific contributions. It now includes more about the impact of her work. The Fellow also noticed that the photograph used in the article was more a picture of a male colleague of hers, who appeared to be showing her something on a map, when in reality the map he was pointing to was of her own creation. Now the article includes a much better image of Tharp with her work. Several improvements to articles on key geological articles like magma and the Earth’s mantle. The article on marriage in South Korea was almost entirely about modern practices until a Fellow added sections on Marriage in Pre-Modern Korea. A great deal of improvements to the article on hometown associations, “social alliances that are formed among immigrants from the same city or region of origin.” The edits expanded the article and addressed a set of maintenance tags that had languished on the page for more than a year and a half. Expansion of the biography of Letitia Obeng, the first Ghanaian woman to obtain a degree in zoology and the first to be awarded a doctorate. Academics participating in our Scholars & Scientists courses are well-suited to expand articles about issues in research like methods and ethics. One example is the community-based participatory research article, “a partnership approach to research and equitably involves community members, organizational representatives, researchers, and others in all aspects of the research process. Media richness theory, “a framework used to describe a communication medium’s ability to reproduce the information sent over it.” A Fellow expanded, among other things, the research content of the article. The same Fellow expanded other media and communication theory articles like channel expansion theory and media naturalness theory. A Fellow expanded and edited the article on poet, memoirist, and academic Joy Ladin. The same Fellow secured images of Ladin as well as Daniel Mallory Ortberg, which you can read more about in a blog post. Adding information to the article about Original Plumbing, a magazine for transgender men. Improving a section and adding a new section to the article on media transparency. In eleven weeks our Wiki Scholars added just over 50,000 words to Wikipedia, creating 8 new articles, and editing 60. They uploaded 17 images to Wikimedia Commons. All of the articles they created and/or edited pertained to the 19th Amendment, women’s rights, or directly related topics. While the 19th Amendment made it possible for many groups of women to vote, one group that still couldn’t after the bill’s passage were Native Americans. One scholar added several resources to the Native American Civil Rights article to detail this. The legacy and impact of Ida B. Wells is enormous. She founded the Alpha Suffrage Club in Chicago. 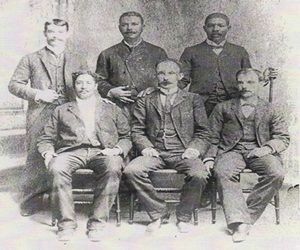 The group aimed to advocate for African American women who were excluded from the suffrage debate. By adding thousands of words, one of our scholars significantly expanded many sections of this article. Influential suffragist, Mary McHenry Keith, did not have a Wikipedia article until a Wiki Scholar created it. With multiple sections, more than 25 sources, and an image, this is an excellent example of a well-formed new article. Similarly, the article for Helen Hoy Greeley did not exist until one of our Scholars identified more than 20 sources and stitched them together into this article. Greeley was a successful and accomplished activist whose career spanned over five decades. Etta Haynie Maddox fought for women to be able to take the bar exam and practice law in the state of Maryland. She became the first woman in Maryland to practice law. Prior to this course her article did not exist. We had two Wiki Scholars work on two new articles concerning trains and suffrage. One is about Caroline Katzenstein, who was on the Suffrage Special, a transcontinental tour recruiting women to speak at a suffrage conference in Chicago. Another article is the Prison Special, which was a protest tour, highlighting stories of women who had been arrested, detained, or incarcerated as a result of participating in protests that promoted suffrage. Image: File:Officers of the National American Woman Suffrage Association.gif, public domain, via Wikimedia Commons. 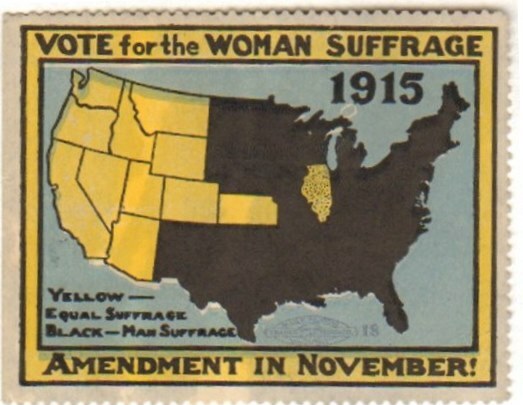 Image: File:Poster Stamp Vote for the woman suffrage amendment in November.jpg, public domain, via Wikimedia Commons. This month, Visiting Scholars continued to use their access to academic resources to improve Wikipedia articles. George Mason University Visiting Scholar Gary Greenbaum added yet another Featured Article to his collection with the Lynchburg Sesquicentennial half dollar, a coin minted in 1936 to celebrate 150 years since Lynchburg, Virginia was incorporated in 1786. A Featured Article is Wikipedia’s highest level of quality, representing the best the encyclopedia has to offer, and involves detailed peer review and revision processes. Rosie Stephenson-Goodknight, Visiting Scholar at Northeastern University, added or substantially expanded 12 more biographies of women writers this month. For example, Eliza Trask Hill (1840-1908) was an activist, journalist, and philanthropist who was one of the first to join the Women’s Christian Temperance Union. Sarah Morgan Bryan Piatt (1836-1919) was a poet who sometimes went by Sallie M. Bryan. She was prolific and popular, publishing about 450 poems over her career. In December, the newly formed Advancement Team held a retreat in Lake Tahoe to build team rapport, develop a strategy, and establish team norms. The Advancement Team consists of Chief Advancement Officer TJ Bliss, Director of Partnerships Jami Mathewson, Customer Success Manager Samantha Weald, and Outreach and Communications Associate Cassidy Villeneuve. During the retreat, the team developed a Team Charter, which includes the team’s purpose, job descriptions, goals, guiding values, norms, policies/processes, and an accountability plan. The charter is a living document and plans were made to return to it frequently as a team in the coming months. In December, we received notification that a $400,000 Annual Planning Grant from Wikimedia Foundation’s Fund Dissemination Committee was approved for Wiki Education. This funding will be matched by a $400,000 grant from the Stanton Foundation. December was a slow month in terms of conversations with potential new funders, but TJ was able to schedule calls with several funders for January. In the meantime, Samantha joined the fundraising team part-time to help conduct research and identify new funders that we might consider approaching in 2019. On December 31, our $480,000 two-year grant from the Simons Foundation ended. We are grateful for the support we received for our Year of Science and Communicating Science efforts from the Simons Foundation. In December, Jami and Cassidy attended the American Geophysical Union annual meeting in Washington, D.C. We sought earth scientists interested in improving Wikipedia, which they can do either by joining our Wikipedia Student Program or by becoming a Wiki Scientist. Those who came by our booth were enthusiastic about Wiki Education’s commitment to equity and open knowledge. The conference was a great opportunity to connect with prospective program participants who will improve Wikipedia’s science coverage, and we’re looking forward to supporting them in that process. While visiting DC, Jami met with several representations from organizations who are a great fit for sponsoring Scholars & Scientists courses. We’re seeing a lot of excitement about a program that not only trains scientists how to impact Wikipedia but that adds high-quality content to important academic topics. Our Wikipedia Fellows pilot program was featured this month as part of William Beutler’s “Top Ten Wikipedia Stories of 2018”. Our model offers a potential solution to engaging more academics and subject-matter experts in Wikipedia editing; it seems like the Wikipedia community is as eager as we are to see where the venture goes. In December, we kicked off the latest Outreachy internship project, implemented several between-terms changes that streamline the course setup process for Wikipedia Student Program instructors, improved how the Dashboard interacts with Wikipedia for the Scholars & Scientists program, and made several data privacy changes on Programs & Events Dashboard to fix violations of the Wikimedia Cloud Services rules. Outreachy intern Cressence got started in early December, working on improvements to the program creation process for the global Programs & Events Dashboard. This work will make it easier for Wikimedia event organizers to set up Dashboard programs in the way that makes sense for their own varied events, without already having an in-depth understanding of the Dashboard’s configuration options. You can follow Cressence’s project blog at cressence.home.blog. For the Wikipedia Student Program, we simplified the Timeline layout by removing the grading section, which few instructors used and which commonly caused confusion. We also improved the assignment wizard — clarifying key issues related to medical information — and extended the integration between the Dashboard and Salesforce to automate more of the Wikipedia Experts’ process of evaluating and logging data for individual courses. For the Scholars & Scientists program, we added similar automated wiki edits as the ones we use for the Wikipedia Student Program. The Dashboard codebase reached a major milestone this month with its 10,000th commit (fixing an accessibility bug). The project has averaged almost 7 changes per day over the last 4 years. 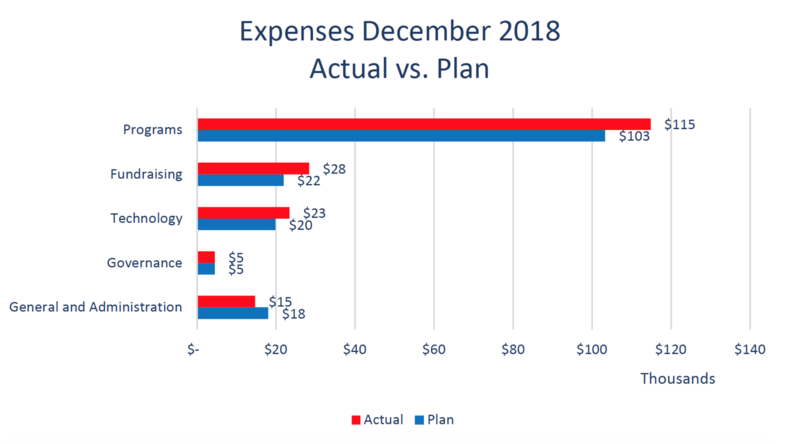 The total expenses for December were $186,000, $18K more than budgeted. Timing has played a role here, and the departments are expensing previously budgeted for items. Fundraising was over the budget by $6K: utilizing $3K for Outside Services and $3K for Travel previously budgeted but unused. 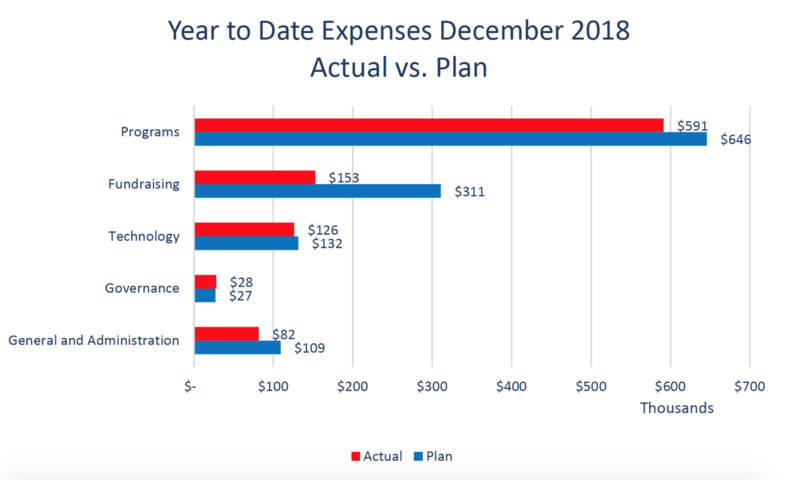 Programs were over budget by $11.5K: $7K over budget relating to Payroll and Benefits, $2K for phone equipment, and $2.5K in Conferences previously budgeted for. General and Administrative was under budget by $3K. Fringe Benefits were under by $2K, Occupancy by $5K and Equipment by $2K. Accounting and Audit was over by $6K, as they were scheduled in October and November. Technology was over by $4K, mainly due to equipment purchase delayed until December. Wiki Education expenses by area for month of December 2018. The Year-to-date expenses are $981K, $244K under budget of $1,225,000. Fundraising is under budget by $158K. This was due to not hosting a cultivation event $10K and a change in plans with regard to outside consulting ($148K), though they are utilizing the consulting services, they will likely not use the amount budgeted for the year. Programs are under budget by $54K: $17K Professional Fees, $19K relating to Travel and Volunteer development, $15K Printing the strategic plan that will remain underspent for the rest of the Fiscal Year, and $7K in Indirect Costs. Technology is under by $5K due to outside services, $12K with an increase in salary +$6K and equipment +$4K and underspending in internet of $3K. General and Administration are under by $28K: $13K in Personnel costs, $5K Professional fees, $5K under in reduction of Occupancy Costs, and $3K in General supply costs. Wiki Education expenses by area, year to date as of month of December 2018. In December, Executive Director Frank Schulenburg engaged with a range of existing funders. He was able to gain financial support for the ongoing NARA pilot from an anonymous donor which enabled us to accept scholars at a reduced fee. Going forward, we’re planning on offering more of such funding opportunities for individual donors or foundations with an interest in specific topic areas. That way, subject matter experts with insufficient support from their own institutions will be able to join future professional development courses in our Scholars & Scientists Program. In mid December, San Francisco firm Hood & Strong came to our office for the fiscal year 2017/18 financial audit. Jordan Daly and Elizabeth Amento from SFBay Financial, supported by HR Manager & Executive Assistant Ozge Gundogdu and Frank, provided financial records and answered questions around accounting practices, record keeping, and internal control policies. This year’s audit is the fourth voluntary audit for our organization in a row; we’ve invested in this area since year one in order to provide a higher level of transparency and also to ensure that our accounting records and financial statements are in good order. During a board call in the second half of December, Frank provided the board with updates on programs, fundraising, and operations. This board meeting also concluded the performance review process for the ED, which had been led by board member Bob Cummings. Also in December, Ozge and Frank – with input from the senior leadership team – worked on a new version of Wiki Education’s time off policy. The new policy will change the total number of vacation days and the time it takes to reach the next level. At the same time we’ll be reducing the maximum accrual of vacation days per employee. These adjustments will help align our time off policy better with the realities of a modern work biography and also reduce financial liabilities for the organization.